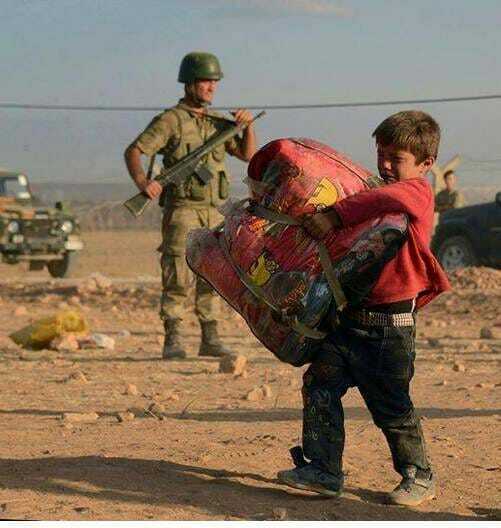 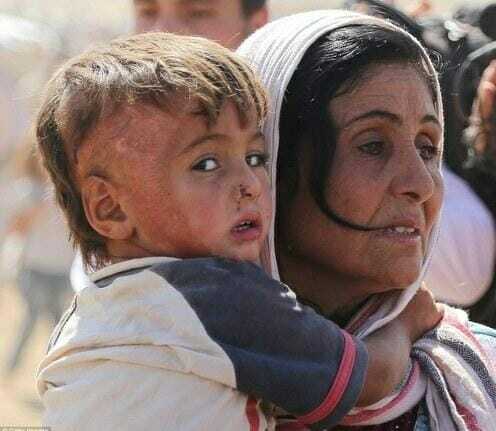 60,000 to 100,000 Syrian Kurds have fled the Kobane region in Syria into Turkey in the last 48 hours. 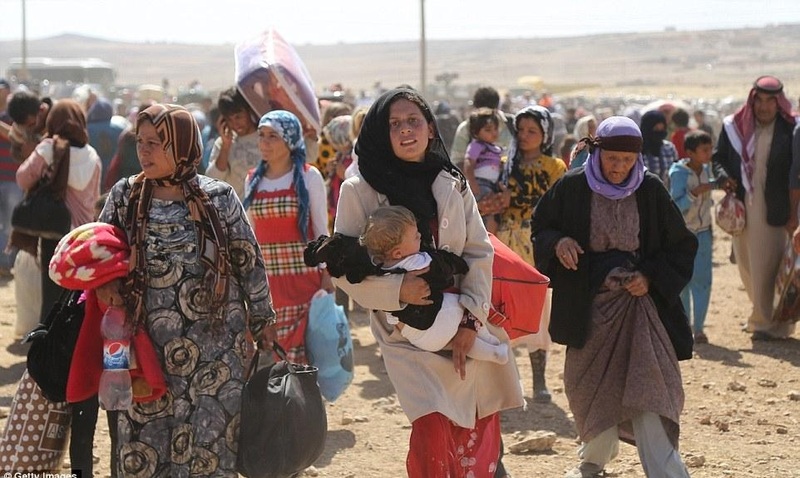 60,000 Syrian Kurds have fled their villages in the last 24 hours into Turkey. 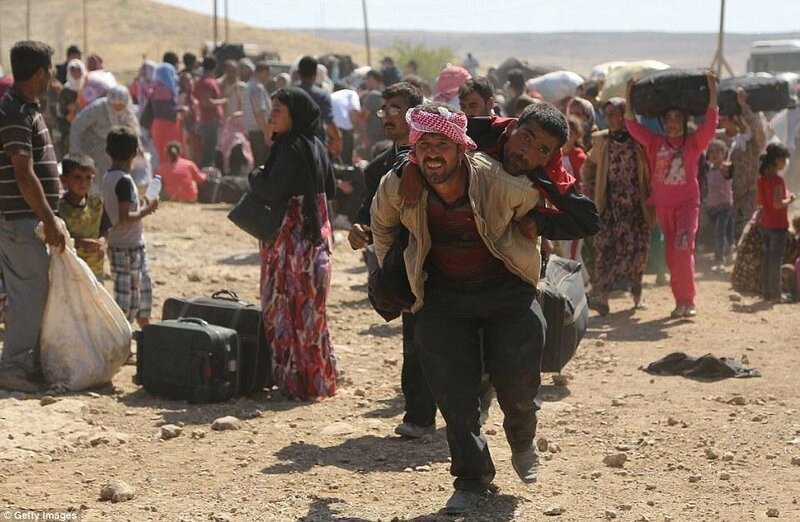 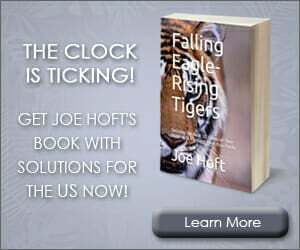 Syrian Kurdish forces have withdrawn from around 60 villages in the face of an advance by Islamic State militants in northern Syria, a monitoring group said on Friday. 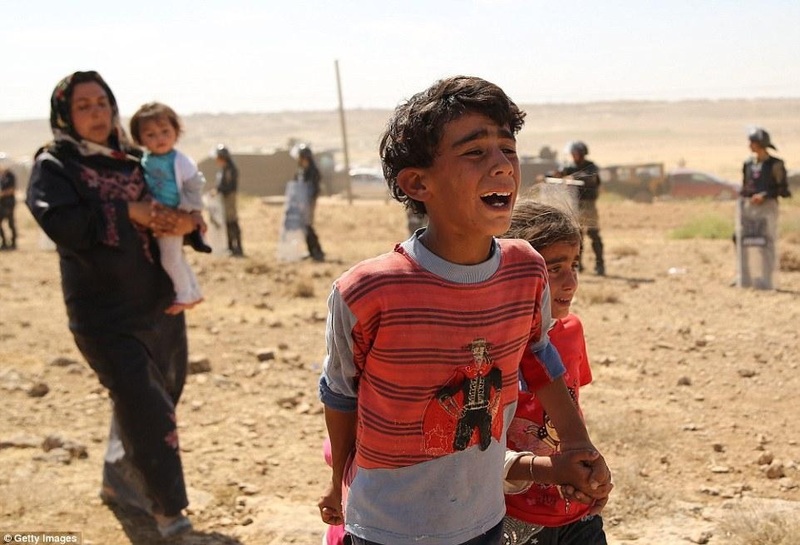 The Islamic State militants were using heavy weapons including artillery and tanks, said Rami Abdulrahman, director of the Britain-based Syrian Observatory for Human Rights. 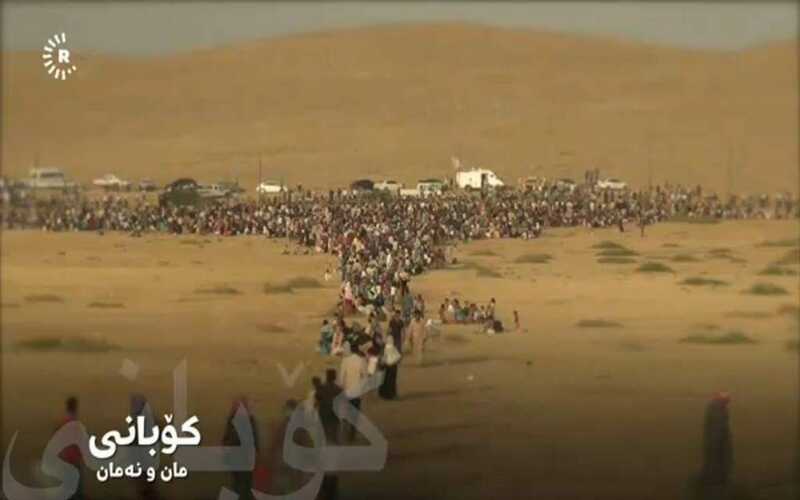 The map posted on an Islamist website shows the siege of Kobane by ISIS. 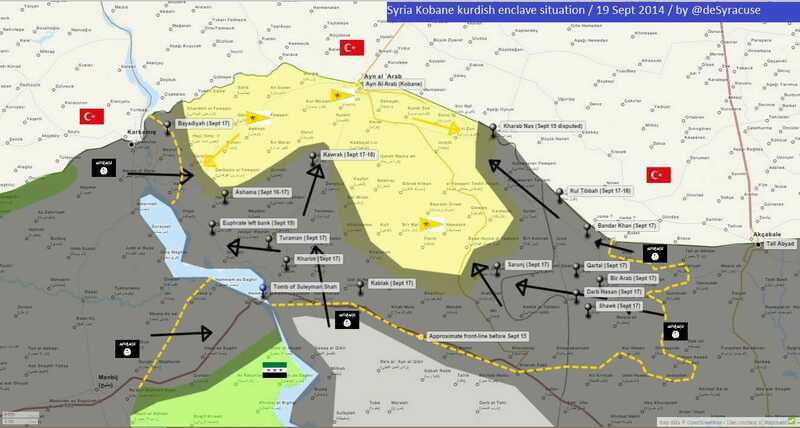 NEW MAP approximate situation in Kobane on September 19, 2014. 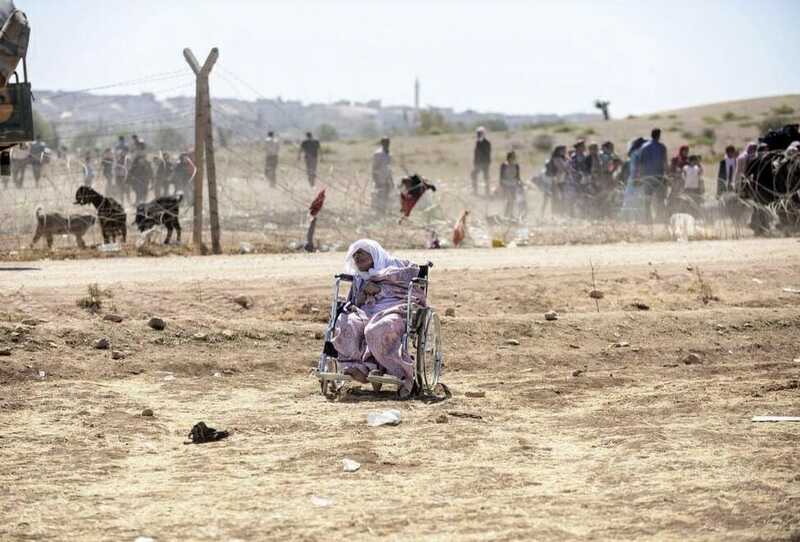 An elderly woman from Kobane in a wheelchair flees ISIS.